If you are seeking a truly unique, completely customized appearance for your vehicle, look no further! 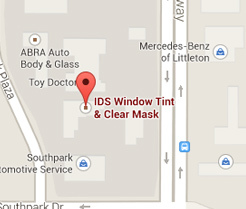 IDS Window Tint offers a variety of customizing appearance products to achieve the one-of-a-kind look you desire. 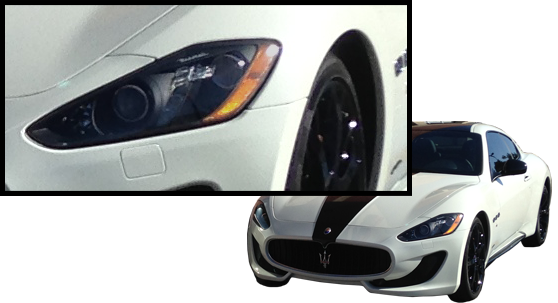 IDS offers a variety of colored and textured vinyl wrap films as well as tinted or colored protective lens covers. Tinted/colored headlight, fog light and tail light covers give your car the appearance you desire while providing protection! Colored/textured vinyl wrap films can be applied to entire vehicles or specific exterior or interior panels to create a unique, custom look! Lamin-X films are used by professionals and car enthusiasts, including factory endurance racing teams, pro drift and rally race teams, car show enthusiasts, and trackday enthusiasts, as well as individuals who care about protection! Lamin-X backs all of their products with a 5-year warranty against yellowing and fading. Headlight and Fog Light covers can give your car a custom look and extra protection. Available in a variety of colors, including yellow, optic blue, clear, tint, and gunsmoke, you can create the perfect look and function for your vehicle. Whether you want to use the same film as Le-Mans Winning Race Teams (yellow) or simple clear protection for your lens, you can find the right headlight and fog light covers for you. Tail light covers are also available to complete your look! Available in a variety of tints and colors. 3M Scotchprint wrap films come in a variety of colors and textures including matte/gloss black, carbon fibers and many other flat/gloss colors. These films can be applied to exterior panels like the hood, roof etc. as well as interior panels such as wood and plastic covers.